A coffee table that is sure to garner your attention, the Luxe Coffee Table offers a wonderful addition in a modern or traditional living room. 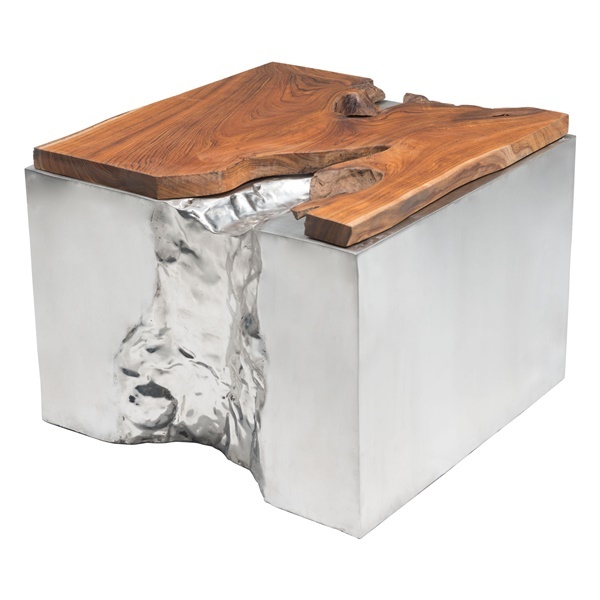 The coffee table features a unique fissure that splits the front and is accented by reclaimed teak pieces that give the piece a one-of-a-kind appearance. It also boasts stainless steel construction for supreme quality and style. Enjoy a top-of-the-line coffee table that makes a bold statement thanks to the Luxe Coffee Table.